Everybody who’s anybody knows what a Lamborghini is – one of the greatest sports cars in the world. This in-depth look explores the origins of the automotive legend, right up to its present-day accomplishments. Over 60 years ago, the idea for a legendary automobile began. Evolving from the scraps of a country ravaged by the Second World War, the original Lamborghini was born of humble beginnings. It’s a story that started in the Regia Aeronautica, known today as the Italian Air Force, with a man’s expertise in repairing aircraft engines. 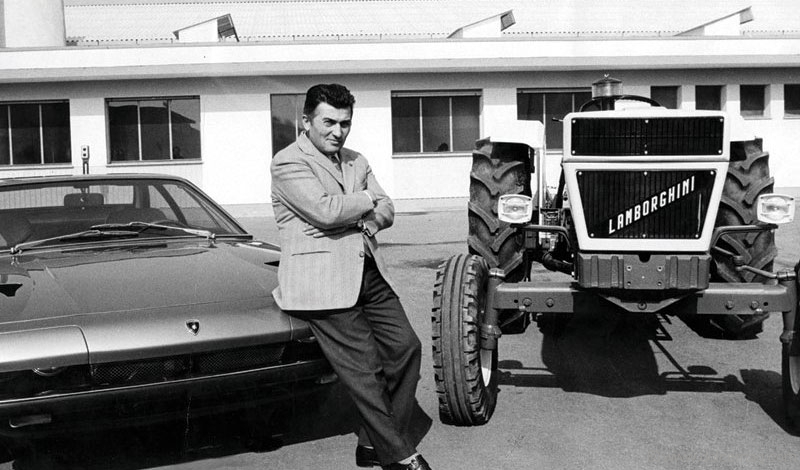 Unbeknownst to anyone at the time, the Taurus-born Ferruccio Lamborghini would develop one of the world’s most extravagant and exhilarating sports cars. His dream is now the living example of luxury, speed and refinement. Unlike the magnificent racing beast known around the globe, one of the first Lamborghinis traces its ancestry back to agricultural roots. When the war ended along with Ferruccio’s service in the mechanic corps, he looked for new ways of doing business in Italy. Much like Vespa’s approach in designing scooters from used airplane parts, Ferruccio bought leftover military vehicles to make tractors – something the country lacked. It was a revolutionary and successful idea that quickly turned profitable over the next 20 years. But the tale of Lamborghini met an unexpected twist of fate when Ferruccio, a fervent sports car enthusiast, was driving his Ferrari 250. After experiencing some problems, he scheduled a meeting with Enzo Ferrari in Maranello to suggest ways of improving its mechanics. 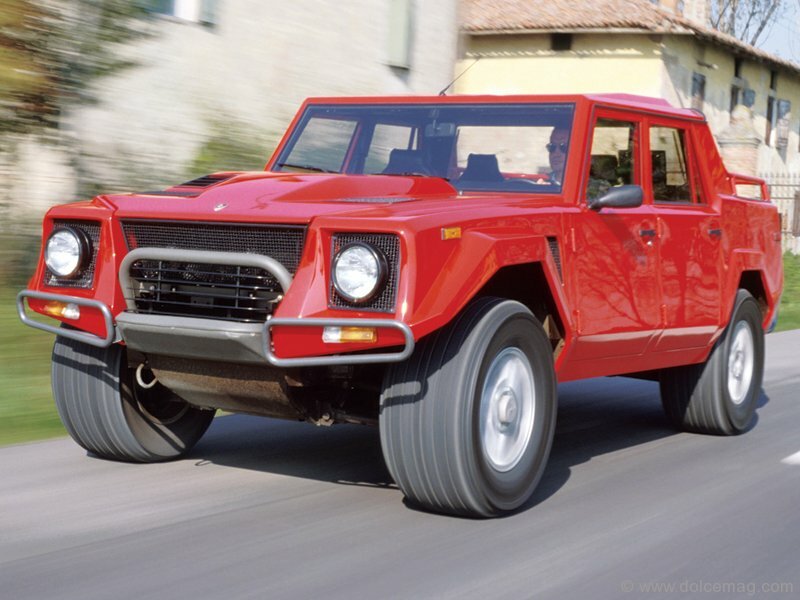 Ferruccio’s proposals were met with disdain, and he was told to stick with designing tractors. Annoyed and insulted, Ferruccio walked away more determined than ever. He took apart his Ferrari to fix the problem only to find a transmission identical to those of his tractors. The discovery marked the beginning of Automobili Lamborghini, which later adopted its founder’s astrological bull on the company crest. 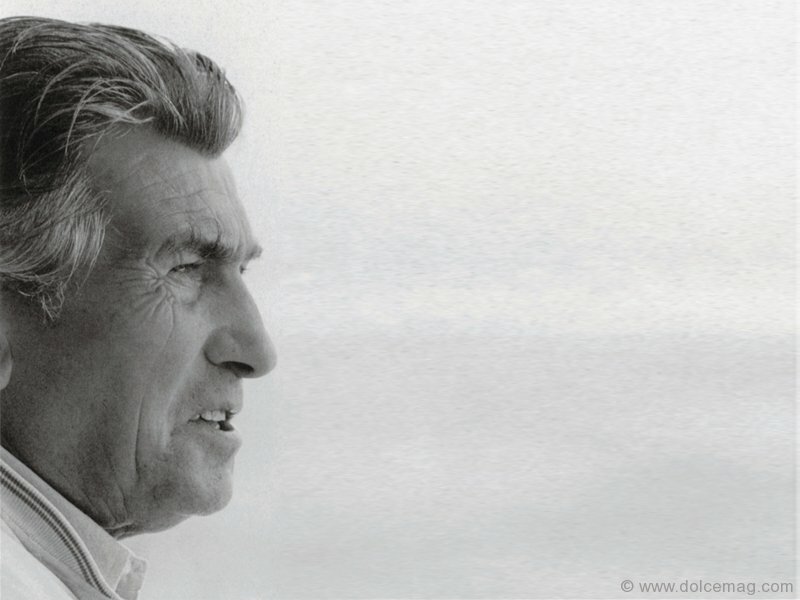 It was 1963 when Ferruccio invested a fortune in his radical idea, setting up a state-of-the-art assembly plant in Sant’Agata Bolognese. 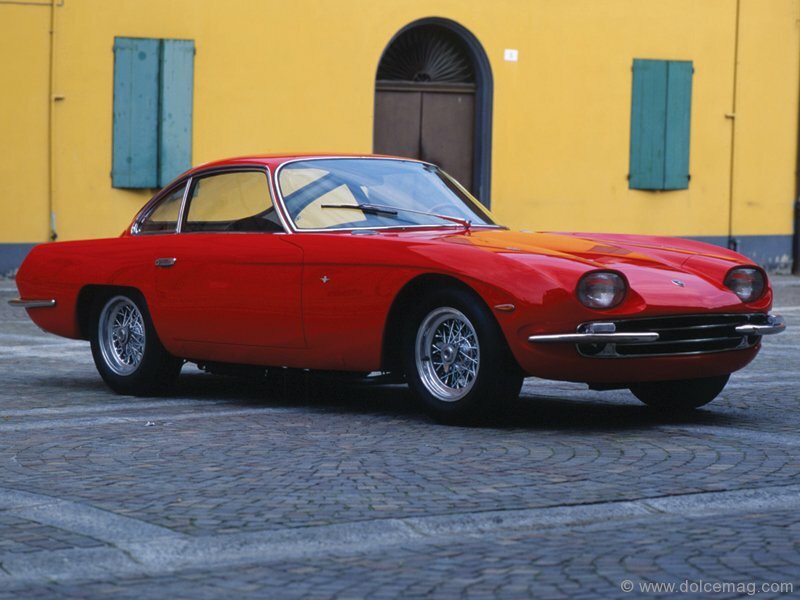 A year later, the first-ever Lamborghini was released, called the 350GT. A sleek, revolutionary aluminum body housed the 270-horsepower, V-12 engine. “His goal was to build one of the world’s best grand touring cars – a GT car,” says Alex Thompson, general manager of Lamborghini Canada. “The 350 is one of the first cars in production. It had the sexiest of lines, was very fast for its time, and it was sporty and very comfortable to drive.” The initial model marked the beginning of an automotive saga that would last until today, likely leaving Ferruccio full of pride. “If he were alive today, he’d be excited to know there are still Lamborghinis being produced and enjoyed all over the world,” says Thompson. Ferruccio followed up with a larger 320-hp 400GT but it wasn’t until his introduction of the Miura at the Turin Motor Show that Lamborghini received international acclaim. Named after the Spanish bull with a well-known attack instinct, its ostentatious body also mirrored a shark-like design. The ensuing super-sporty Miura SV boasted a 380-hp, V-12 engine, Pirelli Cinturato tires, and wide aft fenders. It was a sight to be reckoned with, and anyone who laid their eyes on the Miura had to have one, including Frank Sinatra. Of course, the world has never been a stranger to economic hardships, and by the early ‘70s Ferruccio felt the impact of an impeding oil crisis. 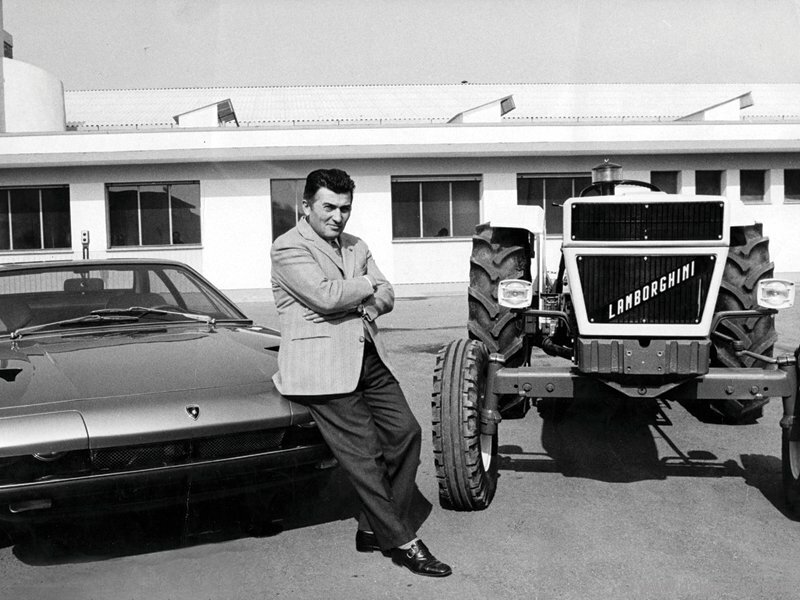 Combined with other financial difficulties, his situation led to the sale of Lamborghini to a Swiss-based company, officially ending Ferruccio’s reign. Despite economic hardship and shifting management, the company persevered and by the early 1980s another milestone was reached. 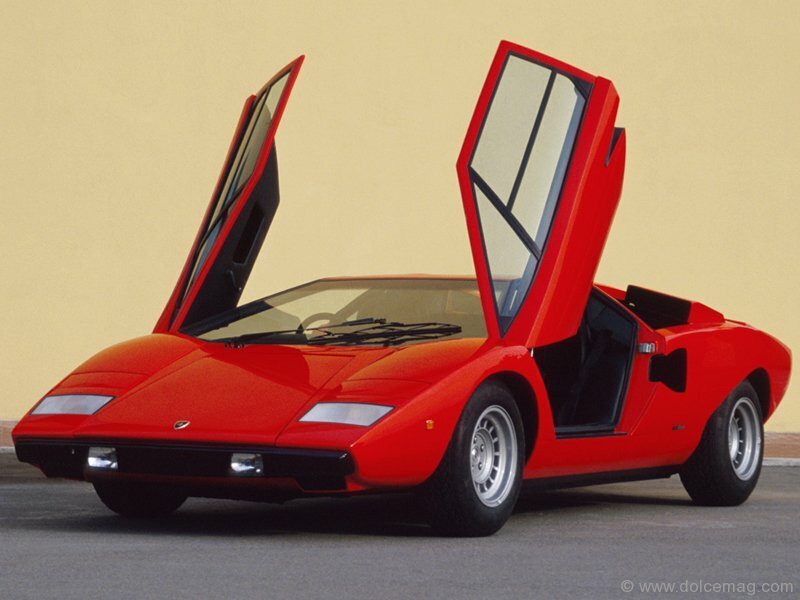 The launch of the extravagant Countach LP500S attracted riveting amazement. “I think it was definitely a footprint, showing where we were going,” Thompson says. “Countach was extreme in its day and I think we can say the same thing today.” Although originally released in 1974, the refined LP500S version defied modern designs everywhere. Besides strutting a 5-litre, 375-hp, V-12 motor, the Countach marvelled in exterior design much like its Miura predecessor. 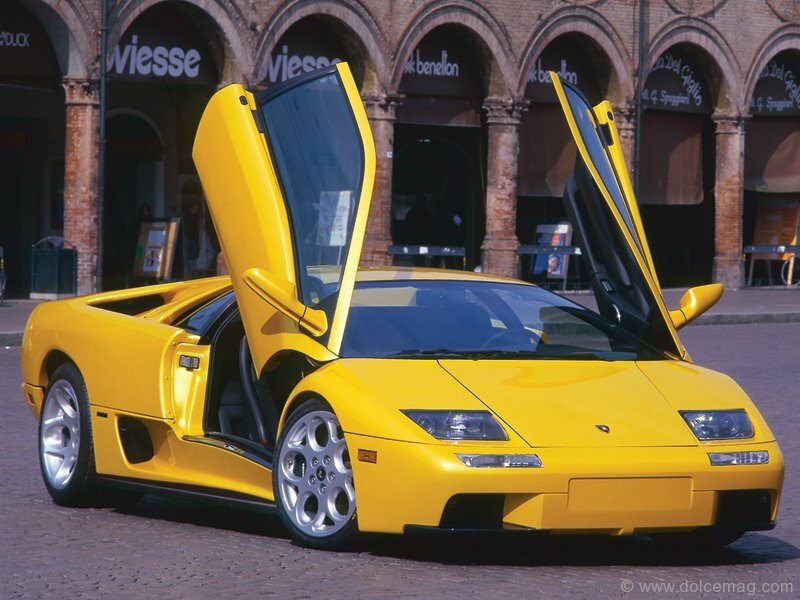 The up-flip scissor doors were unlike anything conceived in automotive history. A whole new spin was added when the cockpit was moved forward and the larger-than-ever engine was placed in the rear. Since then, the company has made it through thick and thin, sporting some of the most extravagant models yet. 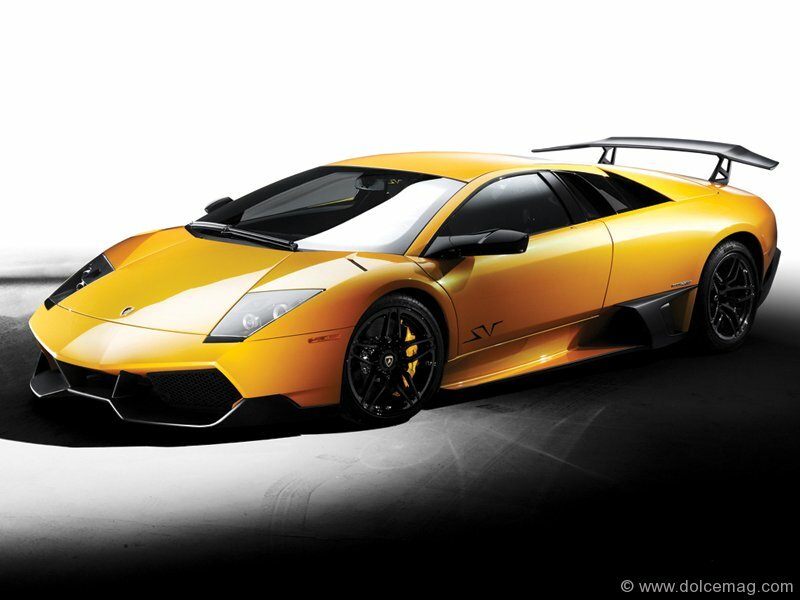 One of the best-selling Lamborghinis of all time, the Gallardo, recently spawned its California-worthy LP 560-4 Spyder. The soft-top convertible boasts an extra 40-hp than its predecessor, outputting a total of 552-hp in a 5.2-litre V-10, that will dash from to 0 to 100 kilometers in four seconds. “I’ve seen and driven the car and I just think it’s sort of that next step to bettering oneself,” Thompson says. You could even say the Spyder comes from a tradition of bettering people, or at least their driving habits. The original hardtop Gallardo was donated to the Italian State Police in 2004, in honour of the force’s 152nd anniversary. The sporty police cruiser comes outfitted with an organ transplant case and video camera that records violations and runs live licence plate checks. Regardless of what features seduce the automotive aficionado, no one can deny the Lamborghini Reventón is in a league of its own – if you can find one. With only 20 of the customized cars built for anonymous buyers, each Reventón is priced at €1 million before tax. “There was only one that came to Canada, and that was in Vancouver,” Thompson reveals. “Another seven were sent to the United States.” Named after the famous bull that killed its rivalling bullfighter, the title also means explosion. Lamborghini’s 650-hp V-12 engine flaunts a gorgeous aircraft-like body. It has a top speed of 340 km/h, and proved its might after racing an Italian Panavia Tornado fighter plane during a test-drive demonstration. Fans who still have their hearts set on a personalized Lamborghini can rejoice in the Ad Personam program unveiled at January’s 2009 Detroit Auto Show. The Gallardo, Gallardo Spyder, and the Murciélago LP 640 were showcased with key individualization features. With the freedom to choose any exterior colour imaginable, buyers receive matching interior stitching of the finest in Nappa leather, contrasted by Callisto wheels painted in high-gloss black. It’s the sign of a luxury brand, fighting as hard as its emblem-infused bull to stay unique.